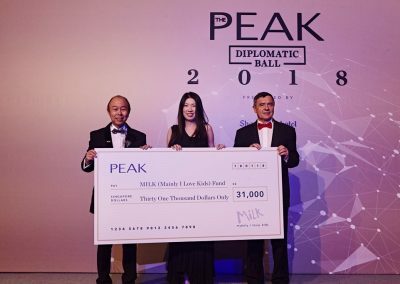 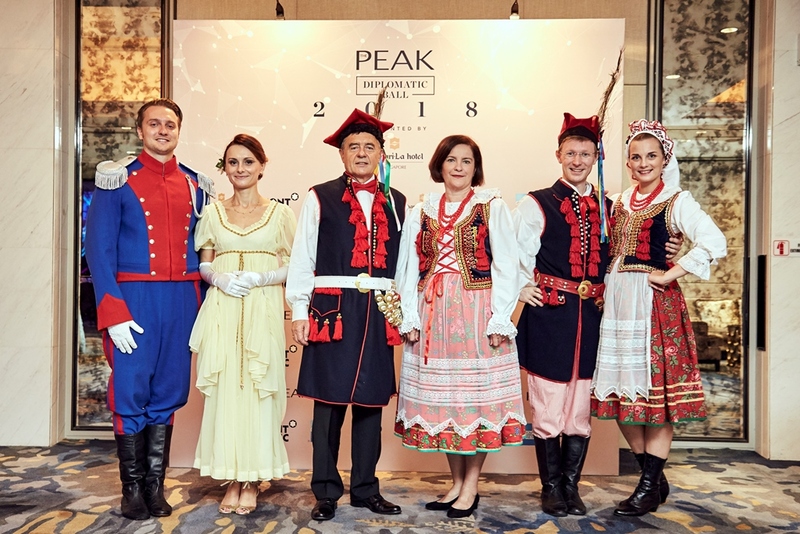 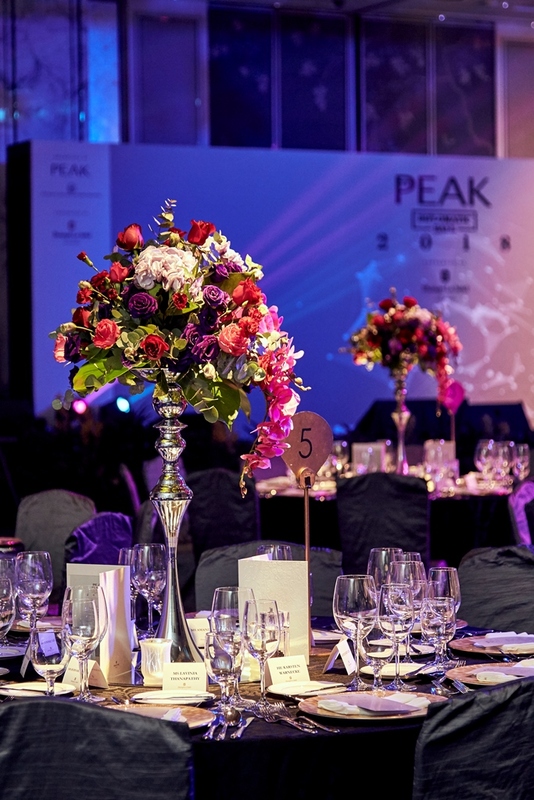 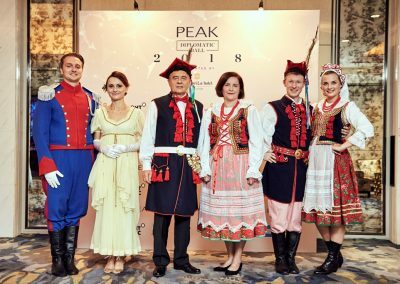 THE PEAK celebrated an evening of cross cultural sharing with the attendance of over 80 ambassadors, high commissioners, senior consular personnel and their partners dressed in their national costumes and key corporate business leaders, at the Shangri-la Hotel, Singapore on 18 January 2018. 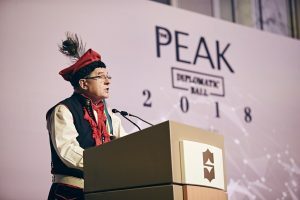 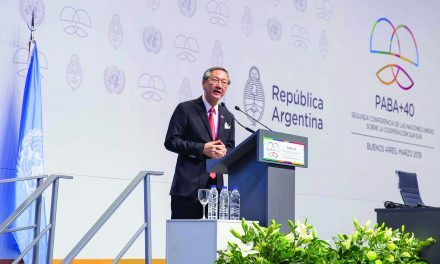 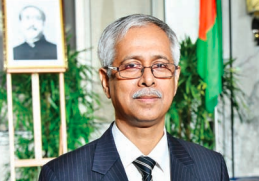 This event was co-organized and graced by His Excellency Zenon Kosiniak-Kamysz, Ambassador of the Republic of Poland of Singapore and Dean of the Diplomatic and Consular Corps Singapore. 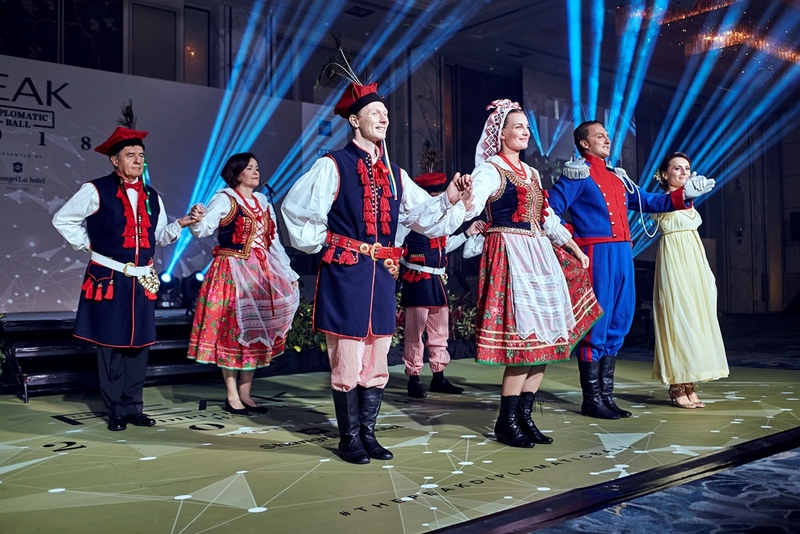 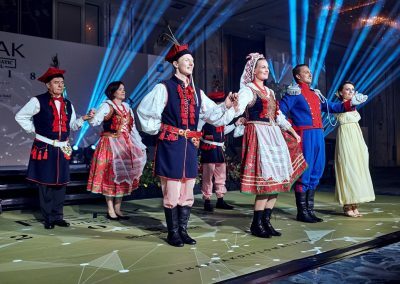 Highlight of the event was a Polonaise ceremonial dance that engaged some of the 220 attendees of the night within the ballroom. 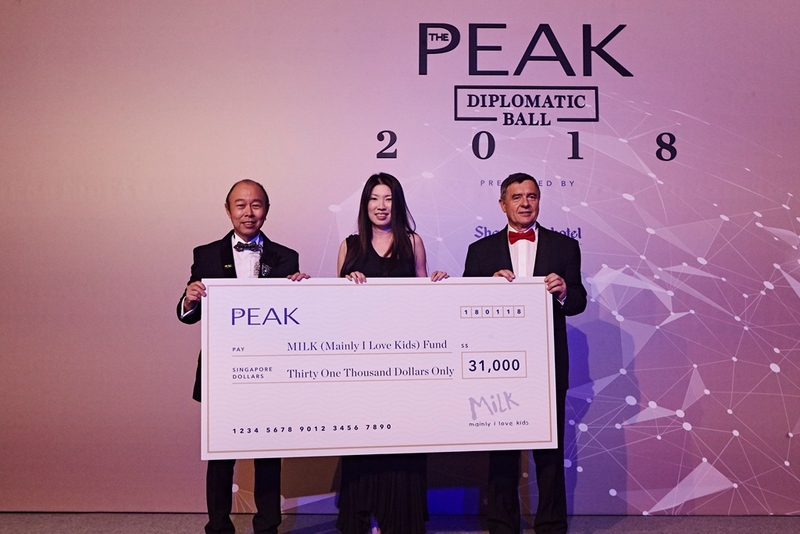 The ball raised more than $31,000 for MILK (Mainly I Love Kids) Fund. 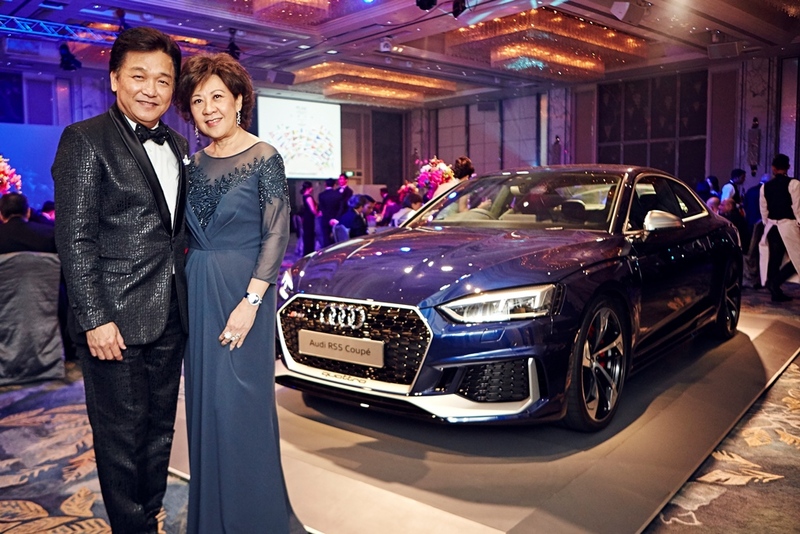 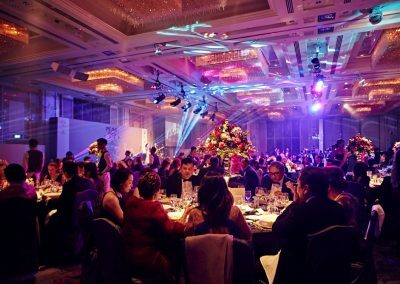 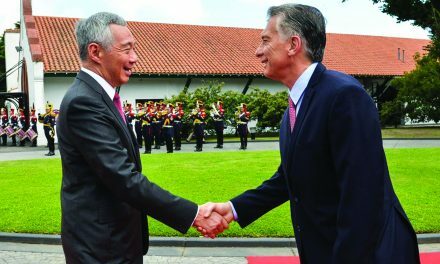 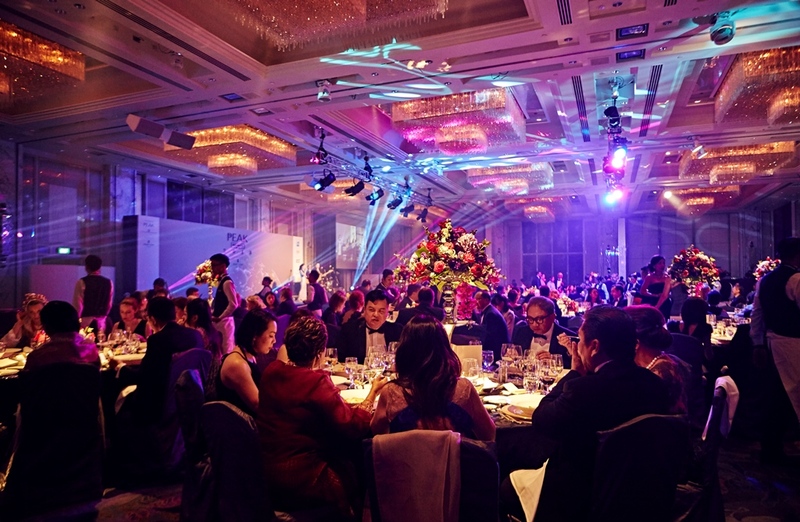 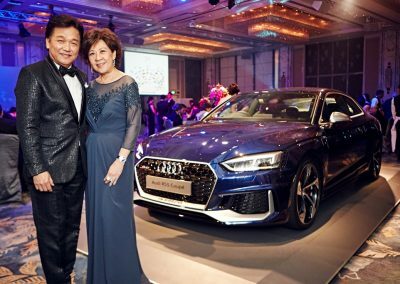 This inaugural event was presented by Shangri-la Hotel Singapore and made possible by the collaboration with AmericanExpress, Audi and Inter-Parfums Singapore– Montblanc. 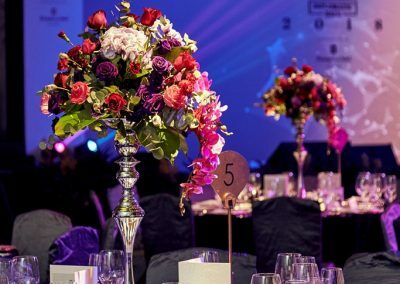 Floral centrepieces by JM Floral Creation and Photo Prints by PrintLab.